In 2014, I traveled to Hudson, New York to shoot a wedding at the Basilica Hudson. The Basilica Hudson is a 19th century factory that is now an event space, hosting everything from film festivals to art exhibitions, weddings to theatre. Between the Hudson River School skies and the gorgeous Catskill Mountains, this unique space was the site of one of the most moving and extraordinary events I’ve ever had the great honor to photograph. We started our day at the infamous Union Street Guest House. Why infamous? I’m sure you read the articles in 2014 about this space. They were the hotel that fined their guests $500 if they wrote a bad review about the inn. Currently boasting an astonishing one star review on Yelp, I was expecting to walk into an awful place, but found it entirely the opposite. The Guest House was warm and inviting, quirky and charming. I took the opportunity to look around the property for a unique space to document the details of the wedding day. The bride and groom at this particular wedding are amazing artists, and I knew that I really had to make some spectacularly different images for them. 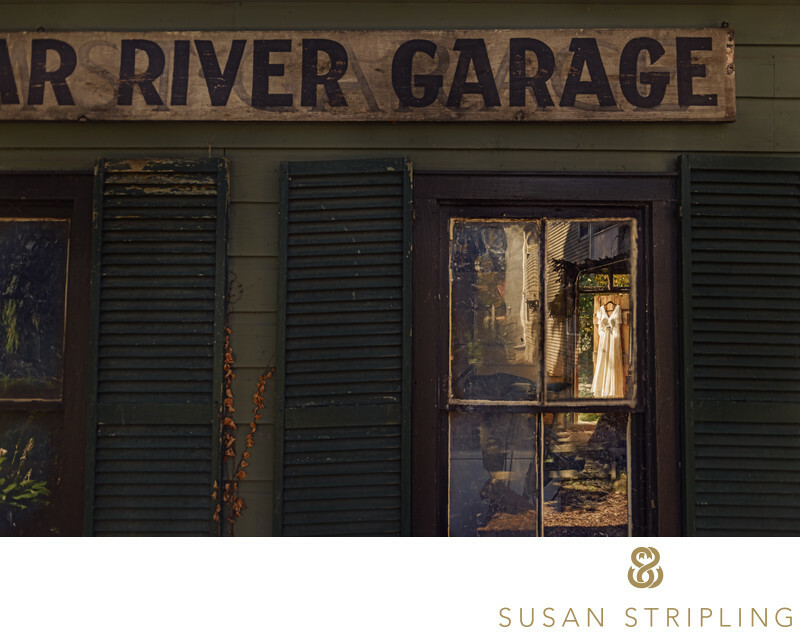 The bride trusted me to take her wedding dress outdoors, and I hung it in the inner doorway of the River Garage, which is actually a car garage! 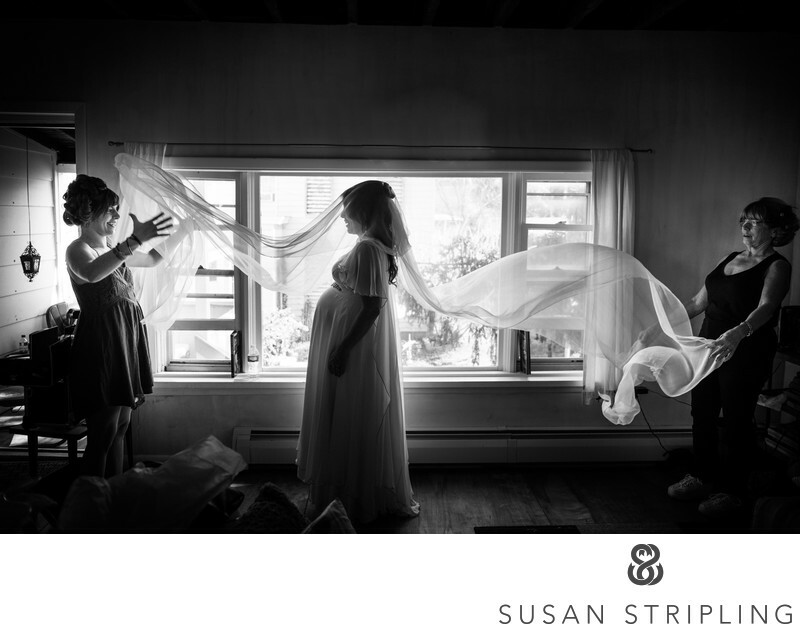 I love the framing of this image, and the fact that you have to look through the window to find the dress. I love the light. I love the warm, charming surroundings. 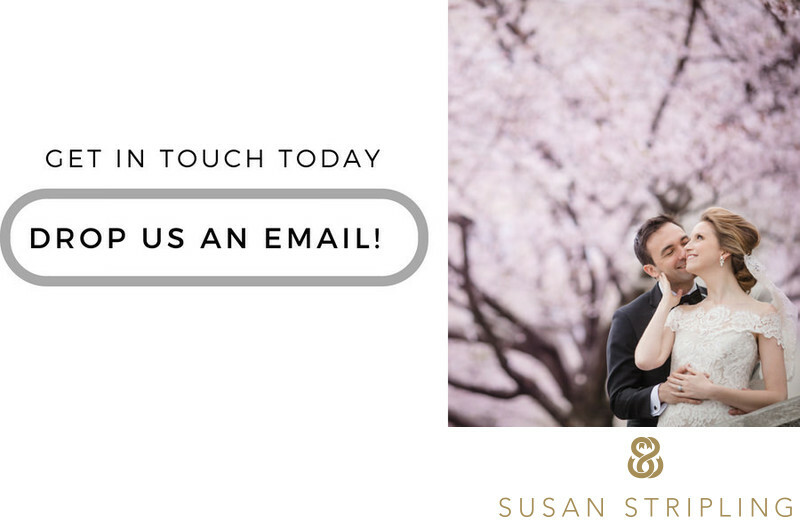 I loved the entire day at the Basilica Hudson, and I can’t wait to go back there and shoot another wedding there soon! Location: 110 S Front St, Hudson, NY 12534. Keywords: basilica hudson (21), hudson (3). 1/320; f/2.8; ISO 64; 24.0 mm.